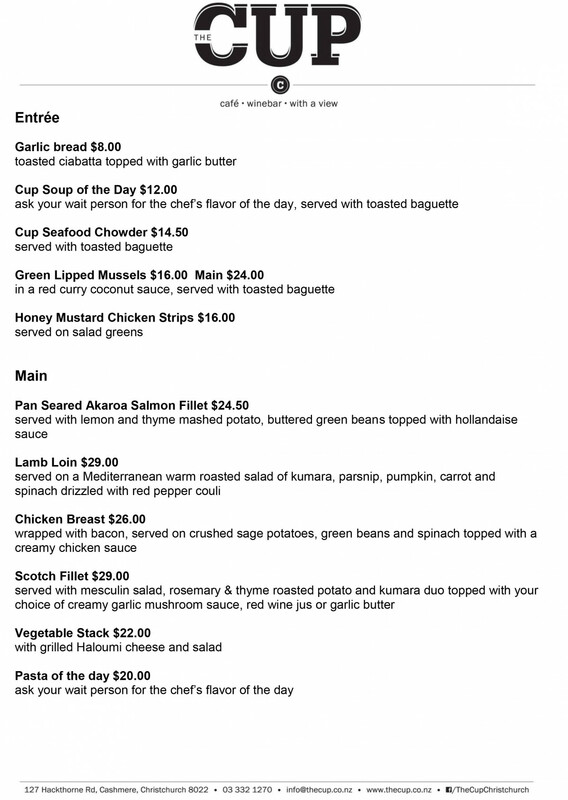 Did you know The Cup Cafe is open for dinner on Thursdays, Fridays and Saturdays? Located on the corner of Hackthorne and Dyers Pass Roads, The Cup overlooks Christchurch with views of the mountains in the background. We have a large range of menu items prepared by our great chefs Ku, and Bradley and we are now open for evening meals on Thursday-Saturday. We are fully licensed with a great range of wine and beer along with a couple ciders. Dine at the cafe with a view and delicious food! Great food, service and view! As in the past we were very pleased with the quality and preparation of the food. Also enjoying the view over christchurch. Great spot with lovely view - despite the weather - with excellent service and good food at a reasonable price. I will not hesitate to go there again! The restaurant is perched on the side of a hill providing a beautiful view of the city. The server was very attentive and the food is better than what we expected. I would recommend the Bruschetta, Steak and Chocolate mousse. That wasn’t the first visit to The Cup, so we know how excellent it is. We enjoyed sharing from entree, soup, main, dessert throughout. If you eat seafood, must try their seafood chowder!!! Another great thing is they serve best kids meal. I cant speak highly enough of the beautiful meal we enjoyed on Saturday night. The food was absolutely delicious! Service was great, a very friendly waitress. Congratulations to the chef, the meal was first class. We will be back! Being greeted by name is always a good way to start! What an enjoyable experience we had last night at The Cup. The food, wine and beer which was served in a cool Three Boys glass were excellent. The salmon dish was a very good choice. The key to the success of the evening, though, was our server! She kept the whole place ticking over and did so in such a professional, yet natural way. Impressive! We always really enjoy dining here! The view is gorgeous, the atmosphere is calm, the food and staff are great...a great way to start an evening! Food and service were both great, and the view out over the city lights is lovely. Lovely family dinner - perfect service and great food. Great food and the view is amazing! Best meal by far using First Table. You could not fault the food or service, not to mention the view!! We had a lovely night, thank you. Beautiful food and friendly service. A great dinner vibe with candlelit meal and amazing view. Only thing was it's surprisingly quiet for a Friday night - it can't be too long before this place fills up for dinners! Lovely dinner - seafood chowder was lovely and hot. View was amazing. Excellent food and excellent service. Will be back. Wow, super delicious. Definitely keen to go again. My husband had 'the best seafood chowder ever' and my salt and pepper squid was perfect with the tastiest zingy dip mmmm. Our mains were generous and cooked to perfection. Lovely view from the window topped it all off nicely. We had a lovely evening with excellent food and service. The Cup always caters superbly for those of us needing to be gluten and dairy free. Many thanks Team. Perfect what a lovely experience from a window table with a stunning view to the best lamb and Jus I have had. The food was all beautiful tasted delicious and looked great. Excellent service. Great food. Awesome views..
A lovely experience, the service was great and the food was yummy. We had a table by the window which made for a nice touch. 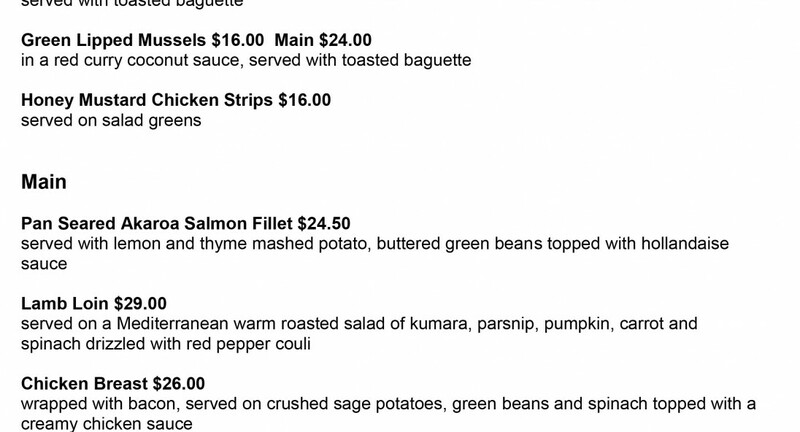 The food was excellent, the dinner menu has recently changed so it differs to what is currently showing on the website. We ordered the polenta fries and garlic bread for entree, both were lovely. I ordered the salmon with new potatoes, asparagus and capers - it was delicious and cooked to perfection. My dining companions both loved their meals - lamb with potato galette and beef with boysenberry sauce. I will be going back again. Not our first time dining at The Cup but first time using first table. Food and service have always been of a high standard. Waiting staff very pleasant. Ordered the salmon for evening meal..delicious! My partner had 'Surf n Turf". Found the steak rather grisly. Ordered passionfruit cheesecake with lemon couli. Unfortunately, we both agreed it appeared to be a brought cheesecake like you would buy at the supermarket. otherwise, a lovely night. We had a wonderful dinner watching the sunset on the mountains. It's a beautiful spot (definitely ask to sit by the window) and the food was fantastic. We had steak and pork belly, both were really delicious and went down well with their scrumptious sides. Unfortunately too full for dessert but will plan better next time so we can indulge as they looked divine! Fantastic view of Chch and beyond from here. Great evening out ,pleasant environment, very friendly and helpful wait staff, good food. Would happily return. Enjoyed the first table deal too, for us eating early works well during the working week. The day of my booking had turned into a long difficult day. I turned up not really feeling like a night out, but the staff were so lovely, the atmosphere was peaceful and relaxing and I chilled out so much I didn't want to leave when we were done :-) The food was great, compliments to the chef, and the menu is always interesting. My only regret? I had no room left for dessert! Was pretty good. Menu wasn't as good as it was last time I was here. 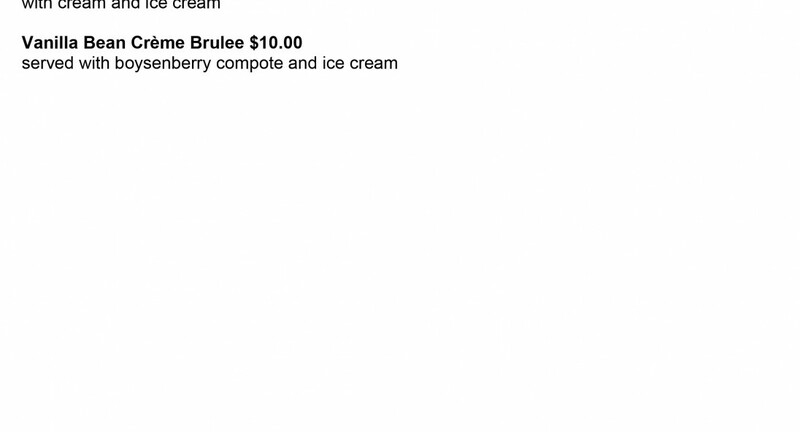 Dessert menu was probably the let down. The website had a different menu to what was actually there so had my hopes up for some sticky date! Not bad overall everything was quick and efficient. We had a table with a great view. The service was great and mains excellent. Dessert was okay. We will come again! A lovely meal with great views of the city will be coming back. 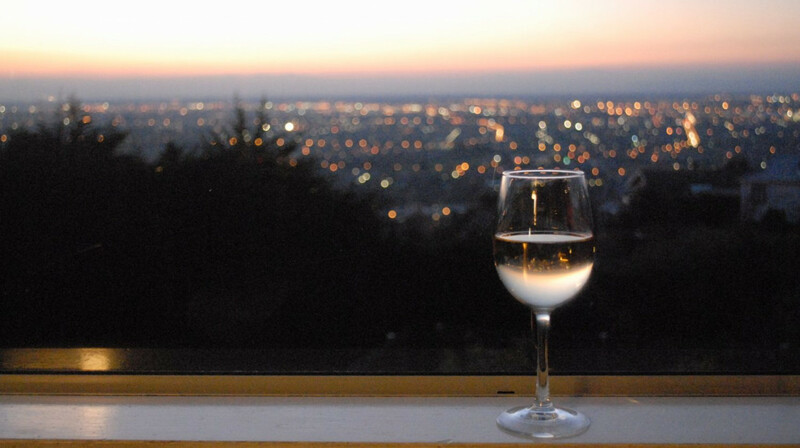 The stunning view, ambient music & decor were perfectly paired with good wine & AMAZING FOOD! 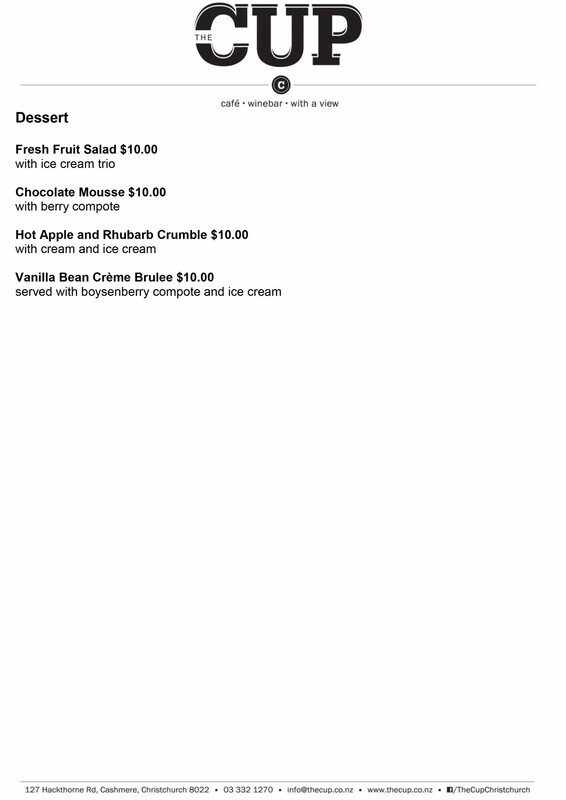 The succulent fried chicken, then the perfectly cooked Rump & divine Choc goodness with delicious raspberry coulis!! The staff were very attentive. However we felt that our booking was not acknowledged. Food was ok for cafe style. Loved this wee gem. Beautiful ambience and a fantastic view over the city.....stunning on a clear night with the lights! Good, simple menu choices and presentation and quality of food is top notch. Attentive, friendly staff. Will definitely come here again. Been looking forward to dining at The Cup for ages, did not disappoint, looking forward to going again soon. Couldn't fault the food in our group of four - beautifully presented and mouth wateringly delicious. Can't beat the view and the young man waiting in is was delightful. We will be back! 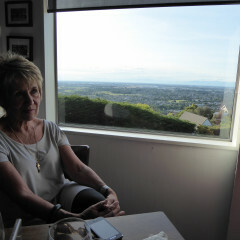 Very enjoyable evening had a table by the window with good view over christchurch. I had Salmon and my husband had venison both cooked to perfection. Would throughly recommend.